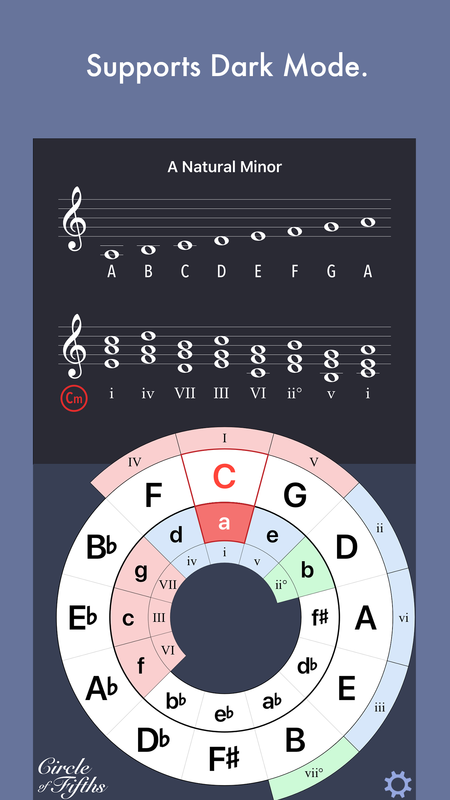 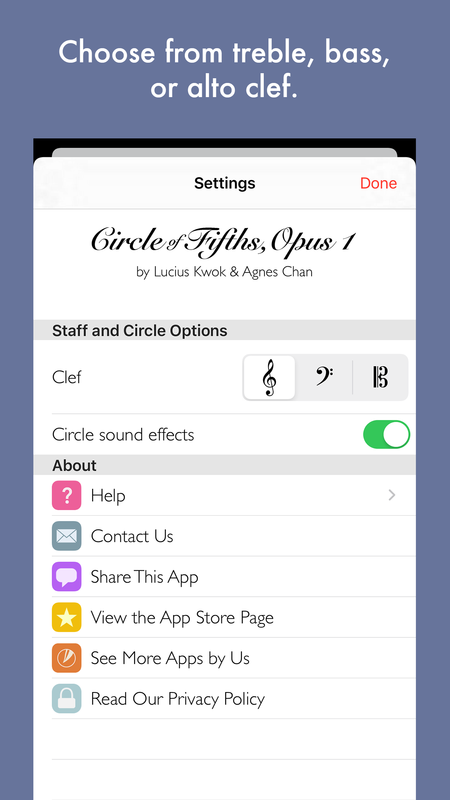 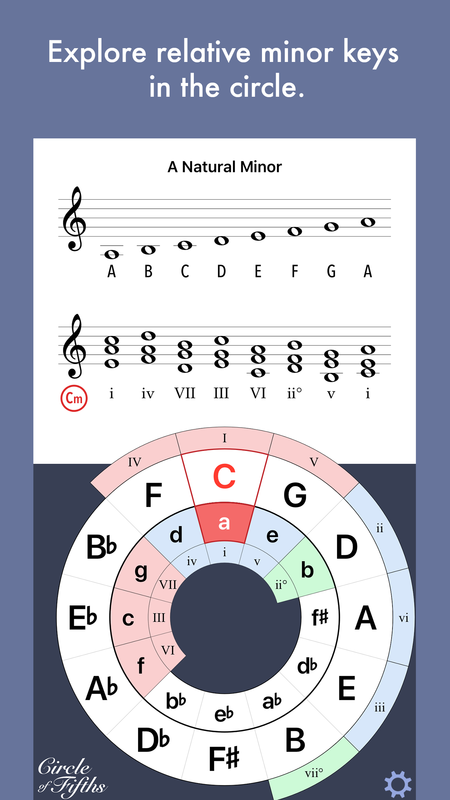 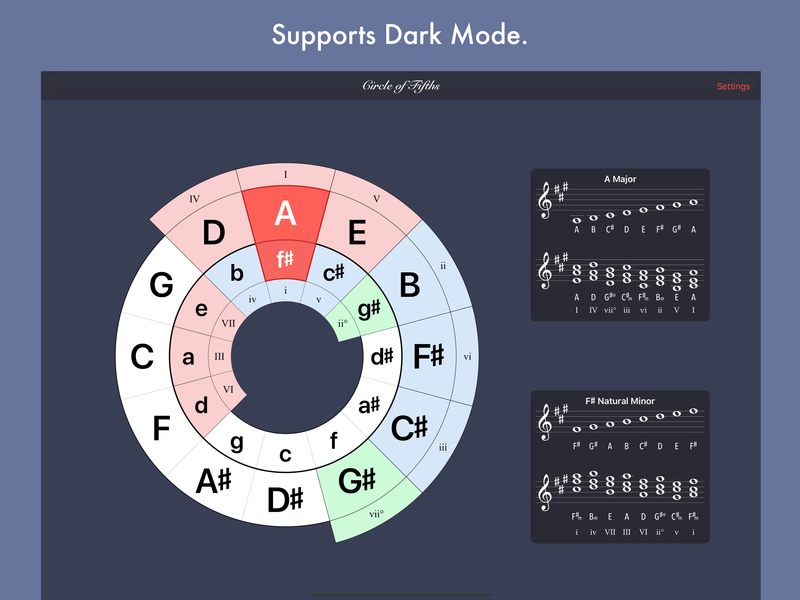 Take your music theory for a spin. 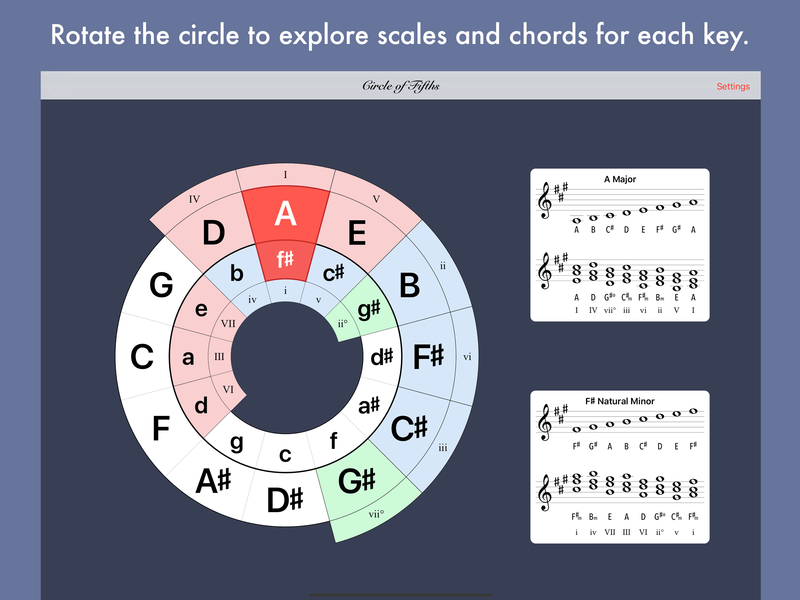 Explore major and minor keys, and scales and chord progressions. 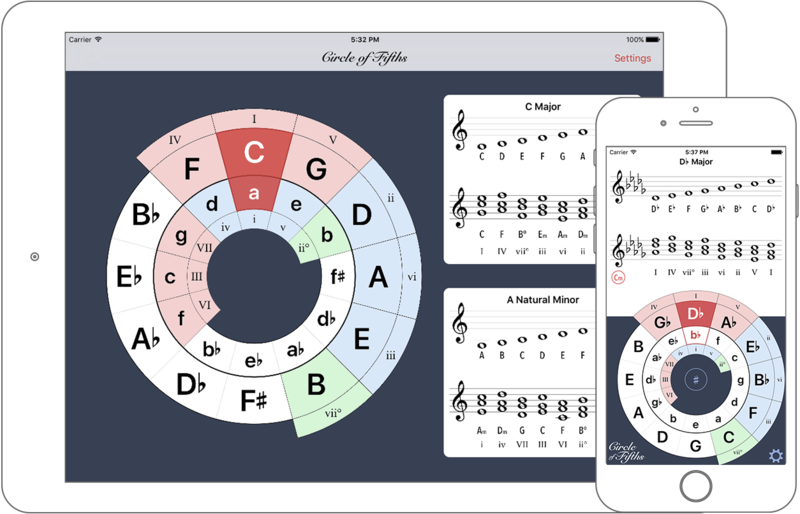 Available for iPad and iPhone. 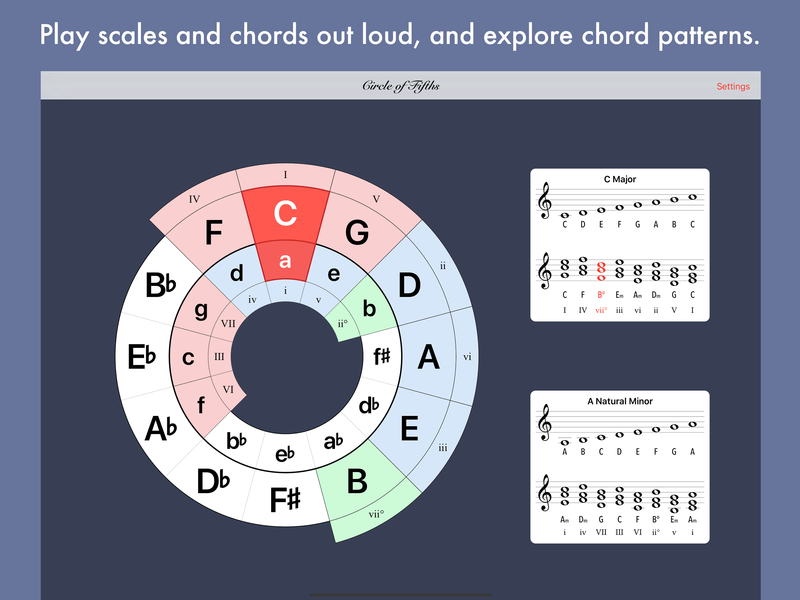 Great app for learning scales! 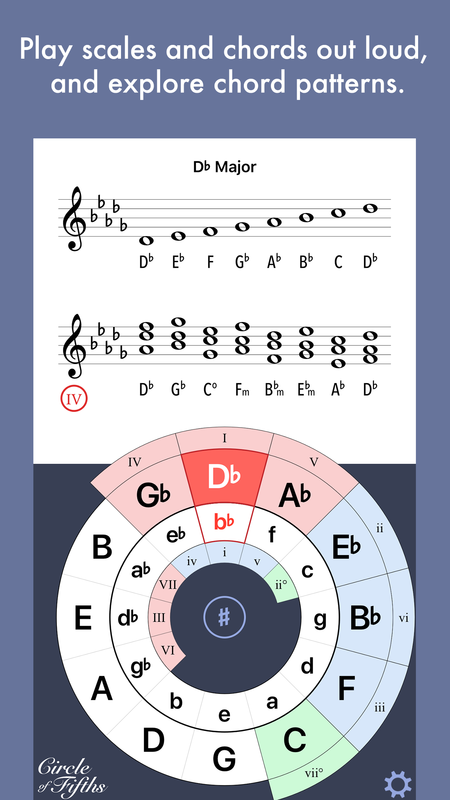 This app has a great layout and is convenient when you forget your scale book.